The administration of US President Donald Trump is trying to roll back limitations that tie the Pentagon’s hands in carrying out lethal drone strikes around the world, officials say. Trump’s experts are in the final stages of reviewing Presidential Policy Guidance (PPG), a series of strict rules on targeted killing operations and drone strikes introduced by former President Barack Obama, The Washington Post reported Monday, citing unnamed US officials. The new administration seeks to make it easier for the US military to carry out the strikes by reducing the threshold for civilian casualties, according to a senior official. Trump has made it clear that he would do all he can to push ahead with Washington’s alleged war against Daesh (ISIL) and other terror groups in the Middle East. 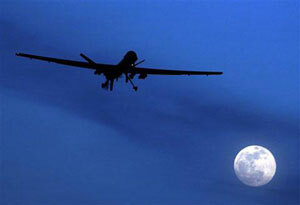 The drone program has always been touted by the US as an effective weapon against terrorists. One of the limitations laid out in the PPG is the “near-certainty” standard of no civilian deaths for the strikes, which is supposed to bar the Pentagon from carrying out any attacks before assessing the possibility of civilian casualties. Early drafts of the review indicate that under the revised rules, the civilian casualty rules will be relaxed and the Pentagon will be allowed to freely select its targets and take action without waiting for approval from the White House. Posing a “continuing and imminent threat” by a target to the US is another key requirement that is likely to be dropped in future drone attacks. A senior official told the Post that the Trump administration was not going to scrap all limitations and remained committed to a standard above the minimum requirements under the international law. By introducing the strict controls, Obama was apparently seeking to prevent civilian casualties and unnecessary costs. “We have to create an architecture for this because [of] the potential for abuse,” he said during a speech in August. According to an official report by the Obama administration, between 2009 and 2016, around 64 to 116 civilians and 2,372 to 2,581 “combatants” were killed in 473 strikes conducted in Muslim nations where the US was not at war. The numbers do not reflect US drone attacks in the war zones of Afghanistan, Iraq and Syria. The drone program was dramatically expanded under Obama, who holds the record as the only US president for being at war for two full terms.